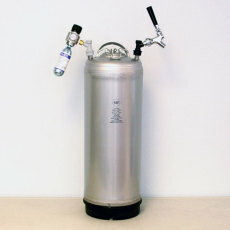 Ditch the bottles, and move to a draft system for your homebrew with our complete kegging systems! Bottling is consistently the homebrewer's least favorite part of brewing, and for good reason. But what if you could have cold, tasty draft beer on hand at any given time, and only have to deal with one, big container instead of a bunch of bottles? It's a no-brainer. 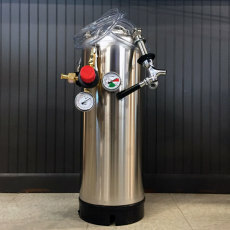 All you need in addition to these kegging systems is a refrigerator to keep your kegs cold, and you'll be on your way to serving draft homebrew in no time! 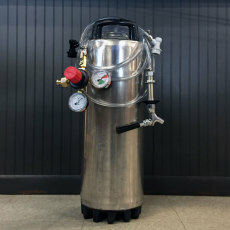 Everything you need to keg and dispense beer at home! 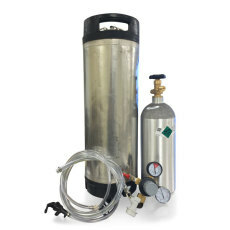 Our basic ball lock kegging system comes with a used Cornelius (Corny) keg and CO2 tank, TapRite dual gauge regulator, liquid and gas lines with disconnects, and a basic picnic faucet for dispensing. All you need to provide is the refrigerator and the homebrew! 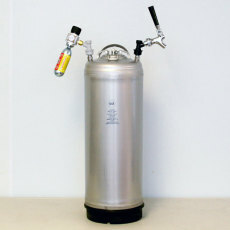 NOTE: For shipping orders you must choose the EMPTY CO2 tank fill option! 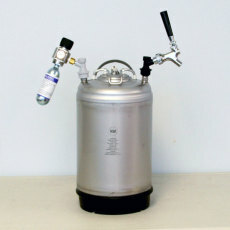 Turn a refridgerator into a homebrew kegerator with this kit. 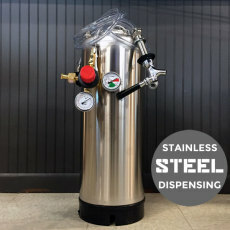 It features a brand new ball lock keg, all the lines you need, and a full stainless steel dispensing setup with shank and beer faucet! 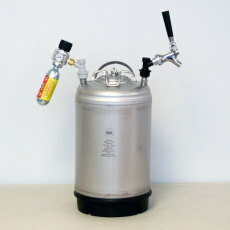 Take and serve 5 gallons of beer anywhere!